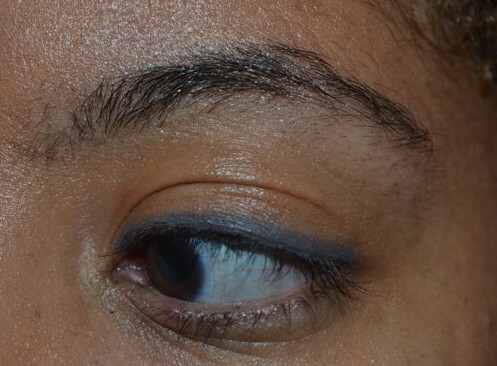 Birchbox has found their latest eye liner obsession!—Sumita’s Color Contrast Mini Eyeliner Kit. This kit is exclusively being sold in the Birchbox shop in a set of four. Sumita’s soft wax formula goes on smooth to create clean lines or can be smudged to smoky perfection, while a dose of hydrating glycerin guards against irritation. Plus, the long-lasting liner will hold up all day and night. I got a chance to try out these eyeliners. Just to give you a back story about me and eye-liner…we don’t really get along. I have the hardest time creating a straight line but I am getting better. I have realized the key is all in the eye liner (and then of course a steady hand). 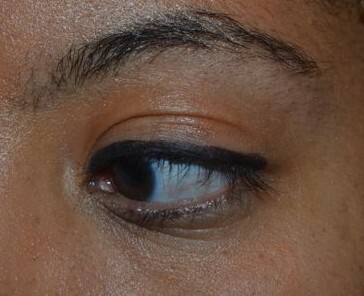 The more the eyeliner glides, the easier it is! 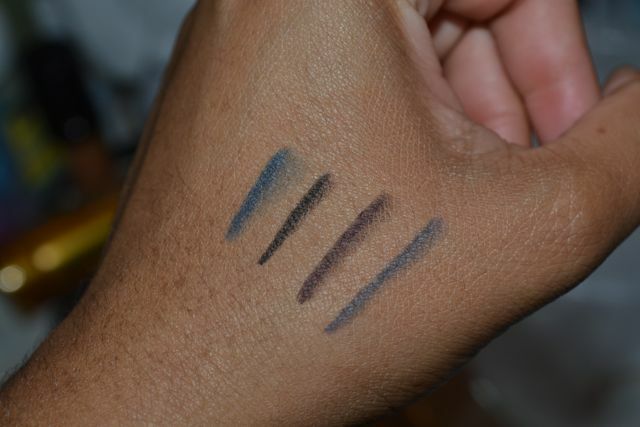 I tried out 4 shades- Saletti, an eye-popping navy, Suman is a rich classic black; Jamun, a deep plum; and Raina, a smoky grey. They were incredibly easy to use and they did glide VERY well. I am no bueno at putting on liner and these made it so easy for me 🙂 I definitely like. 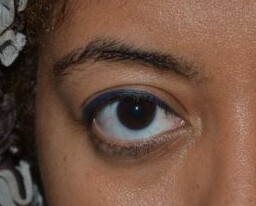 In addition to the ease, the color payoff was great too. 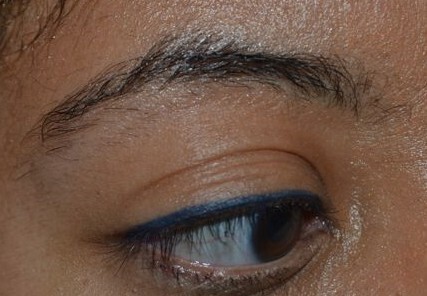 After looking at the pics – I am usually a black eyeliner only type of girl, but I am really feeling the navy and plum now 🙂 Yay! Now I have some new liner colors to play around with!